← When are Manufacturers Liable for Claims Made by Their Retailers? China’s latest food scandal involves decades-old meat from the 1970s. Authorities arrested meat smugglers in 14 provinces who were attempting to sell 1970s meat. The rancid beef, duck, chicken, and pork was reportedly worth about $500,000 and weighed 110,241 tons. Some of the 1970s meat seized during the sting had partially thawed and was rotting, according to Chinese health officials. The decades-old meat was reportedly smuggled into the country from Hong Kong and Vietnam. According to Chinese officials, meat imported into Hong Kong is subject to surveillance but not typically tested if the meat is for “re-export.” The smuggled meat was reportedly transported into China via non-refrigerated vehicles. Investigators believe the vastly outdated meat was thawed and refrozen repeatedly during the journey to market. “It was smelly. There was a whole truck of it. I nearly threw up when I opened the door,” Zhang Tao, an official that helped with the operation in Hunan province, said. An “extensive supply chain” in the meat smuggling black market has generated substantial profits for Chinese gangs, according to Changsha province customs officials. The smugglers are believed to purchase meat at rock bottom prices from foreign countries and then have it shipped in refrigerated containers to Hong Kong. The 1970s meat and other illegally shipped products are then reportedly moved to the Chinese mainland via a route through Vietnam. In order to keep costs down, the smugglers hire local residents in the border regions to move the decades-old meat from town to town. 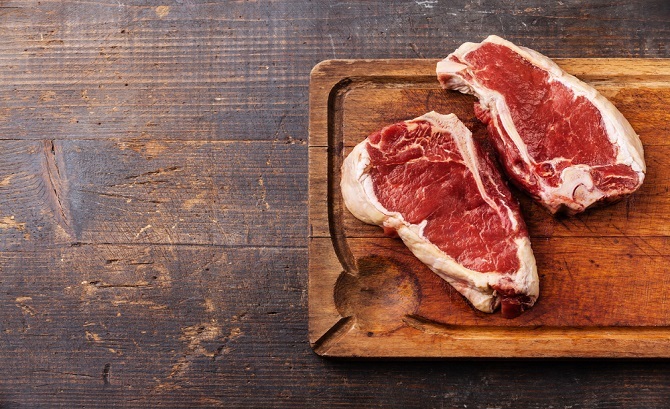 Exactly where the seemingly steady supply of 40-year-old meat is coming from remains unknown. “To save costs, smugglers often hire ordinary vehicles instead of refrigerated ones. So the meat has often thawed out several times before reaching customers,” the deputy director of the anti-smuggling bureau in China told the media. Over the course of the past year, meat smugglers from the United States, Finland, and Brazil have been arrested by Chinese officials. Earlier this spring, a meat smuggling ring was busted with $33 million worth of U.S. beef. Last fall, another group of smugglers were caught with multiple tons of Brazilian beef. Food safety concerns in China have prompted increased demand for foreign meat by citizens. Chinese shoppers reportedly prefer buying meat stemming from the United States, Europe, Australia, and New Zealand. The demand for meat in China has reportedly tripled over the last 30 years. The increased demand for meat in China, coupled with a U.S. beef ban, has sparked a growing meat smuggling industry, government officials said. Mad cow disease concerns prompted the ban on beef raised in America. In 2014, China said that U.S. officials had to submit more data about mad cow disease prevention steps before the beef ban could possibly be lifted. What do you think about the decades-old meat from the 1970s being seized in China?